Built in 1876 and recently imaginatively and tastefully renovated this 5 star converted chapel overlooks the village green in the quiet Dorset village of Sturminster Marshall with its traditional maypole, commemorative oak trees and thatched cottages and is just a short walk from a welcoming pub and the village general stores. 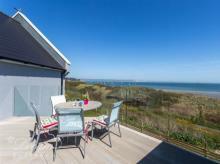 Close to the Jurassic Coast, the New Forest and the south coast beaches it provides a perfect base for family or friends wishing to explore this beautiful and varied county. The sophisticated accommodation has been arranged in a reverse level with a spacious open plan lounge that features the original beams with a gallery overlooking the formal dining area giving views of the green through the chapel windows. The large, modern designer kitchen diner opens onto a sheltered sunny rear courtyard garden with table and chairs for al fresco dining. The hallway, flooded with light from the chapel windows leads to the formal galleried dining area passing the two comfortable bedrooms, each with en-suite facilities. The owners have created a very special property with a welcoming and relaxing ambience and we recommend The Old Chapel very highly. Side entrance into large modern kitchen diner with patio doors onto the rear courtyard. Kitchen equipped with a range style electric cooker with ceramic hob and 11/2 ovens, American style fridge/freezer with cold water supply and ice maker, dishwasher and microwave. Dining area with oak table and leather chairs. Utility/laundry room off the kitchen with washing machine and tumble dryer. Downstairs cloakroom off utility with hand basin and WC. Open tread, integrally lit spiral staircase to the oak floored mezzanine lounge, tastefully furnished with 3 leather sofas (one being a double sofa bed), 47” wide screen TV with DVD, iPod dock and mood lighting. An ash balustrade overlooks the formal dining area, which has a raised deck to take advantage of the village green views, is furnished with an oak dining table and leather chairs and lit by a feature spiral chandelier. Ground floor double bedroom with 4ft 6in double bed, wall mounted flat screen TV and en-suite shower room with double shower enclosure, hand basin, WC, shaver point and heated towel rail. Twin bedroom with two 3ft single beds, wall mounted flat screen TV and en-suite shower room with corner shower enclosure, hand basin, WC, shaver point and heated towel rail. Landscaped rear courtyard garden with slate beds featuring a variety of grasses and plants with a paved patio area furnished with wicker style dining table and chairs. At the far end of the garden, positioned to catch the evening sun there is a raised decking area with pergola and garden table and chairs. Parking: Around village green opposite. Unloading possible adjacent to property. Included: Bed linen, towels (no beach towels), WiFi, electricity, central heating (Under floor heating with individual room thermostats) and stair gate. Pets: Two well behaved meduim dogs welcome. 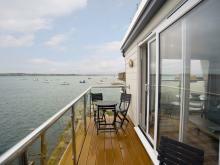 Local Facilities: Several South Coast beaches within 20 minute drive. New Forest 15 miles. 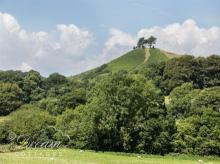 Sturminster Marshall Golf Club. Pub two minutes walk, village shop/Post Office 5 minutes walk. 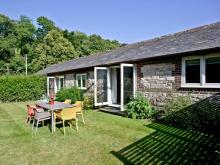 Wimborne 4 miles, Blandford 5 miles, or Poole 7 miles all with full facilities. 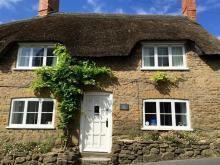 Enchanting and beautifully presented thatched cottage in quintessential rural Dorset village close to the Jurassic Coast beaches. 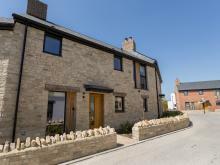 A modern house on the outskirts of Weymouth in Dorset and can sleep six people in three bedrooms. 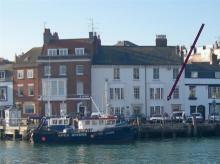 A two bedroom apartment that sleeps four on the harbourside in Weymouth. 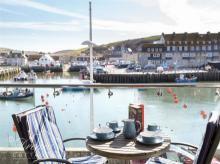 A first floor two bedroom apartment sleeping four people in West Bay, overlooking the harbour. 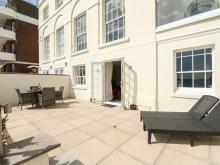 This modern ground-floor apartment is in the town of Weymouth in Dorset and can sleep 4 people in 2 bedrooms. 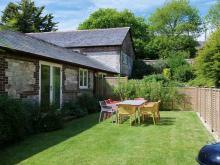 Just below Corfe Castle, this gorgeous thatched cottage makes a great base to explore Dorset. 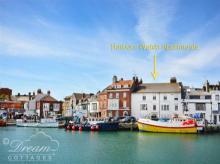 This second-floor apartment is in the town of Weymouth in Dorset and can sleep 4 people in 2 bedrooms. 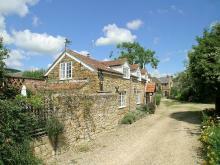 A grade II listed thatched cottage in the coastal village of Bruton Bradstock, with two bedrooms sleeping four people.